This Student Media Grant project seeks to document the ongoing struggle for women’s rights in Turkey. 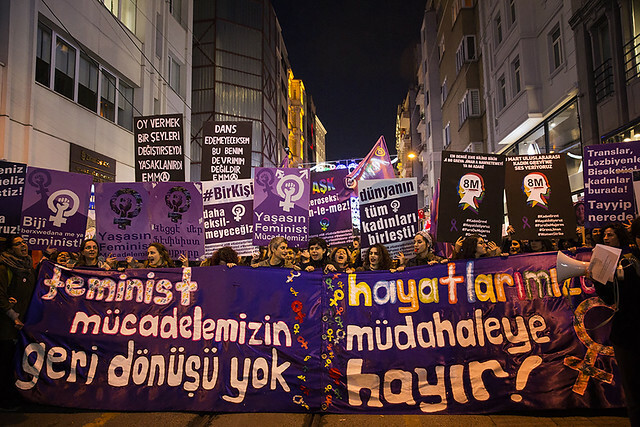 Özge Sebzeci began her project by covering the International Women’s Day march in Istanbul before moving on to the Anatolia region of this vibrant country. Throughout her homeland, she will interview child brides, victims of violence, and other females who continue to fight for their rights. Özge Sebzeci is a documentary photographer based in Istanbul, Turkey. She thinks she finds her voice in photography where she explores human relations and gender issues in her work. Ms. Sebzeci graduated from Galatasaray University with a major in International Relations, having spent a semester abroad in l’Institut d’Etudes de Politiques de Lyon. She is currently pursuing her MA in photography in Marmara University in Istanbul.